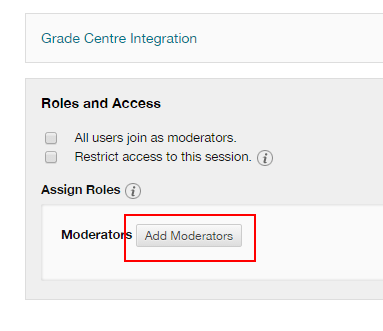 Occasionally you might be in a situation where you require moderator permissions but due to one of a number of possible reasons you have not been added as a moderator to the session. The first time you realise this will normally once you have joined the session and can’t perform the actions you need to. You may recognise that this is the case in the following ways. No “load content” or “record” button in the top right hand corner. No “moderator” label under your name in the participants list. Not able to click the “talk” button as the room talk permissions have not yet been switched on. 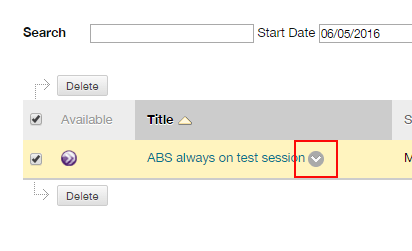 The solve this problem you need to first close the Collaborate session and return to the scheduler in Blackboard. 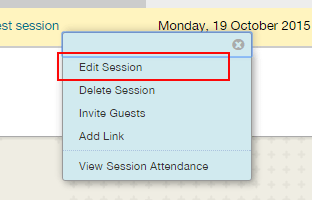 Hover your mouse pointer over the name of the session that you wish to edit so that the context menu button appears. Click the context menu icon and select Edit Session from the menu. Scroll down to the Roles and Access section near the bottom. Expand the tab by clicking the title and then select “Add moderators”. 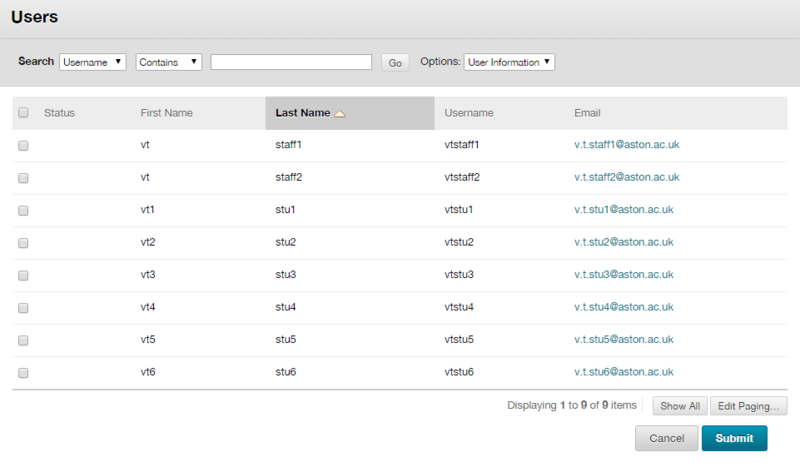 A new window will open with a list of all the users that have access to the course. Find your name in the list, check the tick box and click submit. You will now see you name listed listed under moderators. Save the session and rejoin.